A wall frame is meant to be looked at, and every framed piece begins with design. Which frame? What size? What colors? 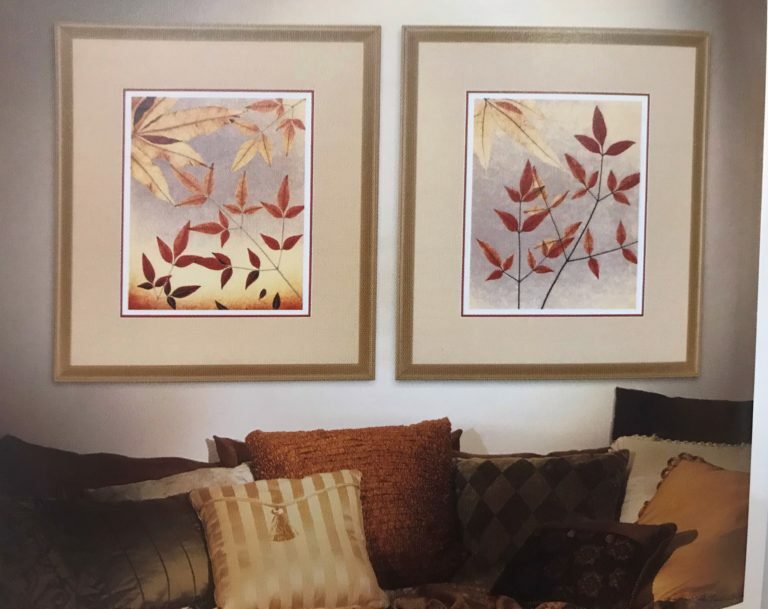 One does not have to be an expert to choose the elements of a frame, but it does help to have a general direction, so that the choices don’t feel overwhelming when you walk into a frame store. 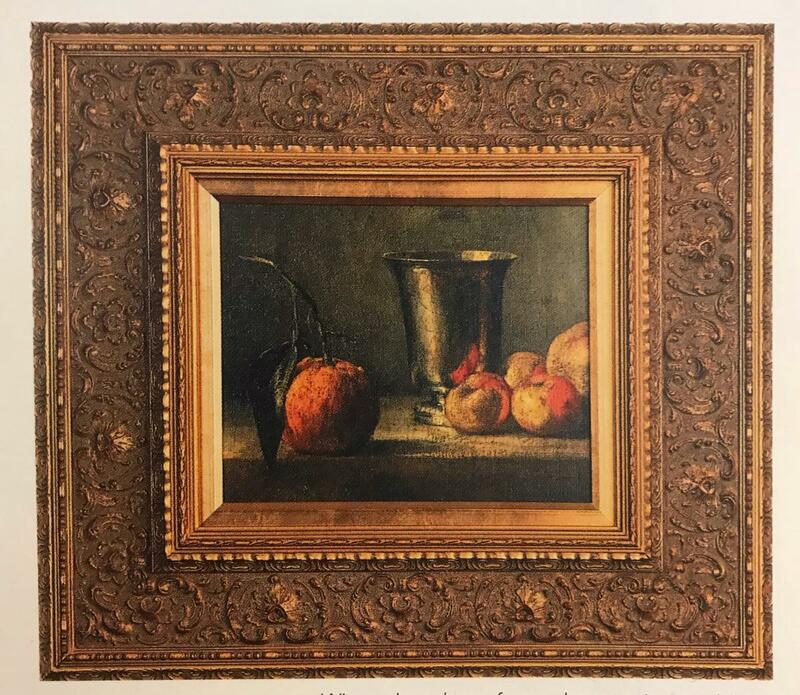 Many picture framing experts consider framing for the art the ideal direction to take. Colors of mats and frame styles are chosen based on the colors, character and style of the artwork. There is a lot of flexibility in this direction as you can style your finished frame to match themes. This is a great way to upgrade the look of an inexpensive piece of art. Many a $5 postcard has left a frame store looking like a million dollar piece of art, but costing much less. For example, a small inexpensive print or your own art can be framed with ornate moulding, significantly upgrading the look of the art on the wall. Wall art is often purchased to tie in various colors and elements of room design. When you are framing for the room, your frame and mat do not need to be an exact match to your room colors, but it should co-ordinate with the general color palette and style, if not the art will look out of place, be invisible. Sometimes moving a piece that is not. In this tastefully decorated corner, the art, mat and frames echo the palette of the sofa. Indeed all the elements in this area look like they belong together. Home decor is an expression of your own unique style and personality. You want the art on your wall to be meaningful to you. Framing that is unconventional can be a lot of fun, however you want to make purposeful decisions as to random choices. If your decision is meaningful to you, then it is the right choice, no matter how the finished art may look. 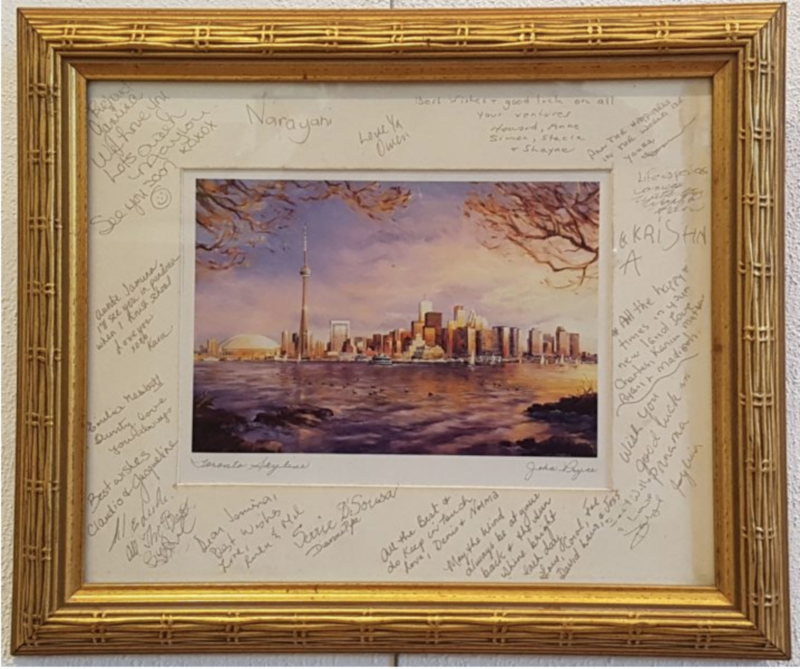 A mat signed by well wishers gives this frame meaning to the owner, a Panama Expat who once lived in Toronto. Wondering how to frame your art? Bring it in and let us help you!